There was a point in time where Australian greens were dominated by napisan-white clad retirees. Now these venues have been taken over by a younger and barefoot generation who are comparing balls while they sink beers. How is that for a combo?! 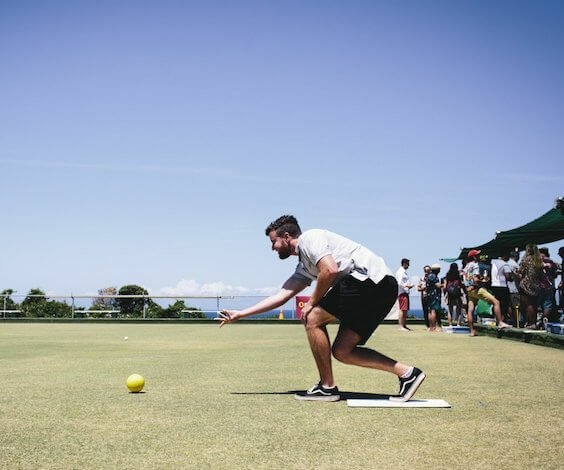 Barefoot Bowls is the ultimate day and the best ball action you’ll ever have. They say a dog is a man’s best friend but that’s where they’re wrong. Everyone knows that balls are every dude’s pride and joy. Wicked Bucks is giving you the opportunity to whip your balls out in broad daylight and let the grass tickle them – It’s the secret to why your Grandad is always so happy. When you’ve finished sipping on shandy’s (hold the lemonade) and you’re a little tired from all the action, we’ll get you going again with every man’s second love – a BBQ. Call your mates and get ready to hit the green, there’s no better way to spend your arvo. It works like clockwork. You get back from a big holiday and before you’ve even had a chance you unpack your suitcase, your Grandparents are calling to ask all the nitty-gritty questions about your time away. Your Bucks Party will be no different however it’s unlikely that you’ll have many G(randparent)-rated stories to share. After a day of Barefoot Bowls, you’ll not only have something your Nana will appreciate, it might even score you some extra brownie points. 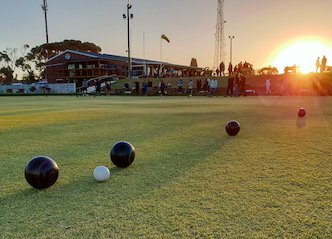 Melbourne’s Lawn Balls Institutions are situated in some pretty magical locations. Whilst you’re getting your balls as close to your mates’ as you can, you’ll have a pretty speccy view of the city. It’s bound to be a “hows the serenity?” moment. Melbourne might be known for it’s four-seasons-in-a-day weather but when this city turns it on, it really turns it on. There is no better way to enjoy a balmy summer arvo, than being under the glistening blue sky on the Greens. Let’s face it, everyone likes a bit of competition but no one likes losing. Let your inner competitive streak run wild and set your mates head to head in a bowls tournament. We can’t promise much more than bragging rights for the winners but isn’t that the best part of taking home the top prize anyway? These Greens aren’t just a strip of grass in timbuktu. We’ve hand selected the city’s best clubs and ensured they’re all fit out with a fully-stocked bar. You won’t go thirsty on our watch. What is the first thing that comes to mind when you think of Australia? We’re willing to bet it’s images of the Sydney Harbour Bridge, the Opera House or Sydney’s infamously twinkling harbourside skyline. The country’s second largest city and the capital of Victoria is so often overlooked but we think it’s the unassuming, overachieving little sibling. From style, culture and beaches, to architecture, music and wineries – the list is never ending. For many guys, Melbourne’s biggest draw card is it’s love of sport. Melbournites are so fanatic about sport that its bordering on a religion. Week round, locals flock to the big stadiums to show their die-hard support. In between the many international sporting every, the city is the home of Aussie rules football, cricket, the grand prix and tennis. If you managed to find yourself in the Southern state during one of the few lulls of the year (It’s actually hard to do this if you try), the iconic Melbourne Cricket Ground offers behind the scenes tours which can’t be missed. Something else the people of Melbourne are passionate about is food. With no less than 8 Michelin starred restaurants to choose from, your tastebuds will be exploding with joy. The diverse population also means the city is an eclectic melting pot of cuisines so that you’ll never get bored of eating out. As you can probably tell, we could brag about the humble Melbourne until the cows come home but we think it’s probably better for you to test it out yourself. Let Wicked Bucks treat you to the ultimate Melbourne experience so you can celebrate your Buck’s final days of freedom is style. We do the hard yards so you can kick back and take it all in.